Singing Tips with Barbara Lewis. Explore the Exciting World of a Singer! For Everyone who Loves to Sing, Especially Those over 40! Connect Your Heart to Your Voice and Sing with Greater Joy! WELCOME! To Singing Tips With Barbara Lewis. A Special Welcome to "Singers Over Forty" & to All Others Who Love To Sing! • Do what You Love in 2019 - Read YOUR AGE IS YOUR POWER! You can find answers easily! Use the Google Search button below to search for your interests: auditions, sore throat, confidence, self esteem, high notes, careers in music, & more. Just enter your area of interest below and voila! NOTE! You will need to scroll down the first few links (they are ADS) to find my articles! Singing Tips With Barbara Lewis is for singers who want to learn how to sing, write a song, & remember lyrics. But also for those who are interested in karaoke singing & audition tips; ideas about how to remain healthy and how to prepare for competitions. SINGING AFTER FORTY! - I especially welcome more mature singers who are returning to singing - or who have decided to live their dream. If you are Dreaming About Singing, Get Started On Your Dream To Sing! will guide you through the process and start you on your first simple vocal warmup! 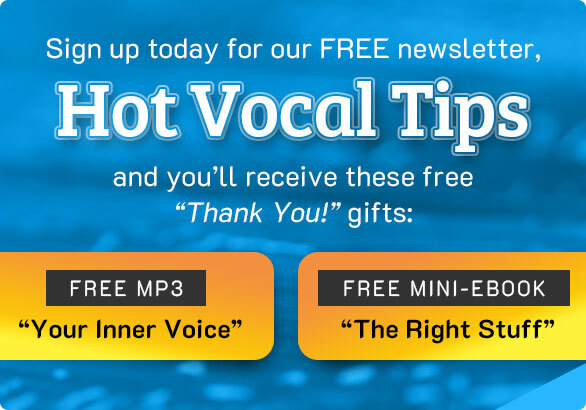 • Beginning Singer Resources ARE HERE! And Sample my Free Singing Lessons: "Sing With Me". And check out: CAREERS IN MUSIC, & ways to keep your voice in good shape: dealing with laryngitis and causes of sore throat. If you are a more advanced singer, thinking about going pro - read about a unique use of breath for greater expression & ideas about what makes a pro? Search through the site for your unique needs using Google Search above. As a singer, songwriter and teacher for over 30 years, I have had a lot of experience in this exciting world of singing. With these singing tips, podcasts, audio and video clips, I want to share that knowledge with you.